Need to rent or tune-up? Big mountain FUN....Small Mountain Attitude! It's not how much mountain is needed for fun; but how much fun can be packed into a mountain! McCauley Mountain's 633-ft vertical drop contains all the skiing boasted by ski areas three times its size. From long cruisers to steep bumps and glades, to double-black diamond challengers, McCauley has it all. Twenty-one slopes and trails up to a mile long, a double chairlift, two T-Bar lifts, and rope tows. Skiers moving out of the beginner ranks get a big bonus: McCauley offers accommodating trails from the summit. Everyone gets up in skier country to enjoy the views which extend all the way to Whiteface and Mt. Marcy in the high peaks region. It's "big mountain" skiing without the long lift lines and high prices. McCauley has produced three Olympic skiers: John "Louie" Ehrensbeck, a veteran of two US Olympic teams; Hank Kashiwa, who was also the World Professional Alpine Skiing Champion; and Maddie Phaneuf, a current US Ski Team member who went to the 2018 Olympics. Annual snowfall is 281 inches, and has reached 400 inches. In addition to natural snowfall, the snowmaking and exceptional grooming at McCauley, ensures the best possbile conditions for over 100 days of skiing annually. 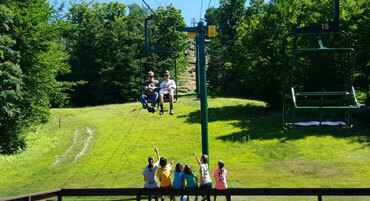 Come play in our snow... Or enjoy the Summer Scenic Chairlift Ride, when McCauley is also open for hiking, biking, and picnicking, with two playground areas. What is going on at McCauley? 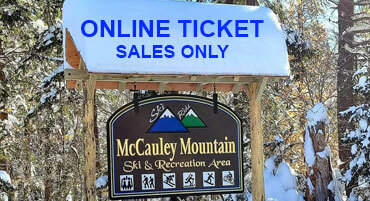 McCauley Mountain participates with other great ski facilities to allow for more skiing! "An Adirondack Feeling." Is it the refreshing cool mountain air? A crackling lodge fire? The moon's reflection on a frozen Adirondack lake? A pristine snowy wonderland? We invite you to find out for yourself. Come to McCauley Mountain in Old Forge, New York and enjoy a relaxing ski getaway at New York's Best Family Mountain. Old Forge, New York is “Adirondack Base Camp” for winter visitors who launch out near and far seeking everything from serenity to adventure. It is the largest hamlet in historic Town of Webb, which includes Eagle Bay and Big Moose. From here, you can explore the Central Adirondack region and all of the Adirondack Park.